To say Eden Brent is on a roll is like saying cotton grows in the Delta. Three Blues Music Awards out of five nominations, including the Acoustic Album of the Year for Mississippi Number One; one can say that Little Boogaloo has definitely set the bar high for her next release. And I can honestly say she exceeded all of my expectations. Capable production work from Colin Linden, some wonderful songs penned by Eden, some astute choices of other songs to complete the record and the Piety Street Studios in New Orleans for a recording studio all contribute to the magic to be found on Ain�t Got No Troubles. I�ve about worn out my advance copy, so let�s get to it. Next up is the poignant �Blues All Over.� �Blues on the loveseat�where we used to kiss�I�m in my living room�and my man is sorely missed!� Her man is gone and Eden is finding memories of their love all over her house to commiserate about. �I got the blues all over�blues won�t let me be�I got the blues all over�blues all over me!� The memories will soon fade and she�ll be able to move on with her life. A Colin Linden tune, �Later than You Think,� is up next. Centered around a rendezvous between a man and his lover, circumstances conspire to make it �later than you think.� �I�m on one side of this room�you are on the other�never has this closer�been this further�.the clock is ticking faster�and dripping in the sink�I wonder who you�re waiting for�it�s later than you think!� �Right to Be Wrong� is a song penned by Tom Hambridge and finds Eden questioning her right to be wrong in the moment. �I meant what I said�and said what I meant�never stopped to think about the consequence�tried and tried to apologize�but you won�t leave it alone�ain�t I got a right to be wrong?� Whatever the argument, Eden�s lover is definitely holding it against her and she may not have the right to be wrong this time. Another original tune and my favorite on the album is �Leave Me Alone.� Here we find Eden pondering the finality of a relationship and if it�s over, then let it be over. �When you leave me�leave me alone�don�t write me letters�don�t call me on the phone�I will be just fine�when I am finally on my own�when you leave me�leave me alone.� A beautiful guitar solo by Colin highlights the melancholy feelings Eden is experiencing and leaves you hoping that she�s finally at peace with this relationship. �Beyond My Broken Dreams� is another of my favorites and a tune penned by Tommy Polk. Here we find Eden bent but not broken. �There was a time�I wore my heart on my sleeve�I was a little bit green.. about everything�had my back against the rope�had my share of shattered hopes�believe me I know�what losing means�hard time put me to the test�but I ain�t been beat down yet�I won�t give in�I will not rest�I see a new day dawning.� Eden is the eternal optimist and this song perfectly captures her fighting spirit as she faces the challenges in her life. Ain�t Got No Troubles is at times funny, at times very poignant and heartfelt, and always entertaining. I�ve listened to this record a lot over the past few weeks and there�s no doubt in my mind that it will be a strong contender for a number of Blues Music Awards come awards time. And hopefully more accolades beyond that. 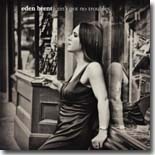 I don�t feel that Eden gets enough credit for her songwriting, but there are some wonderfully crafted tunes here and Colin Linden did an outstanding job producing this disc. The sky�s the limit�good luck, Little Boogaloo! More information on this disc can be found on Eden�s website, www.edenbrent.com, or on her label at www.yellowdogrecords.com. As hard as it might be to believe, Eden Brent�s new album, Ain�t Got No Troubles (Yellow Dog Records), may be even better than its predecessor, Mississippi Number One. Ms. Brent took home many award and accolades for her Yellow Dog debut, including Acoustic Album of the Year and Acoustic Artist of the Year during the 2009 Blues Music Awards, and she also won the Pinetop Perkins Award (for piano) at this year�s event. This time around, she decided to move things down south from Greenville, MS to the Crescent City in an attempt to broaden her sound. She also recruited Canadian Roots artist Colin Linden (Mavis Staples, Cassandra Wilson, Paul Reddick) to produce and play guitar, along with New Orleans mainstays, George Porter, Jr. and Jon Cleary. Brent served a musical apprenticeship of sorts under Delta piano man Abie �Boogaloo� Ames, later serving as his manager and musical partner. In an effort to be able to play for as many different audiences as possible (therefore having an opportunity to earn more money for his efforts) Ames built up quite an eclectic set list over the years, ranging from blues to boogie-woogie to show tunes to jazz, and Brent, nicknamed �Little Boogaloo,� has picked up where Ames left off. On her latest release, Brent plays the blues, boogie woogie, soul, and pop, all laced with that New Orleans flavor. The opening two cuts, �Someone To Love� and the title track, have that Crescent City rhythm built in. �Someone To Love� throws in a punchy horn section for good measure, and you�ll be humming �Ain�t Got No Troubles� long after the song ends. �Blues All Over� is a sparer after-hours number featuring Ms. Brent solo, as is the jazzy �Later Than You Think,� written by Linden. One of the standout tracks on the disc, �Leave Me Alone,� actually ventures a little bit north toward Memphis Soul territory, with Brent turning in a marvelous vocal performance supported by Jon Cleary�s keyboards. �Let�s Boogie-Woogie� rocks the house up with Brent�s piano front and center, and �My Man� is a whimsical, double entendre-laden tune. �If I Can�t� is an intimate track that finds Brent singing accompanied only by Linden on guitar. As good as she is on piano, I think her vocal gifts are underrated, as she moves from tough to tender with ease. �In Love With Your Wallet� is a bluesy jumper that would be a hit tune in a perfect world. Special mention must go to the band, which provides superlative backing. In addition to Linden (guitars), Porter (bass) and Cleary (keyboards), they include Bryan Owings (drums), Tracy Griffin (trumpet), Emile Hall (alto sax), and Jeff Albert (trombone). Ain�t Got No Troubles is a beautifully crafted album with excellent songs and performances. Eden Brent will probably be hauling away a few more awards next summer at the 2011 BMA�s. Duke Robillard�s 17th and latest release for Stony Plain puts the full focus on his songwriting. Passport to the Blues features 11 songs composed by Robillard. In addition, the music shifts from the swinging blues and jazz of his previous couple of releases to a grittier, down-home sound. Robillard also pays tribute to some of his influences, such as Guitar Slim on the Crescent City-flavored �Girl Let Me Tell Ya,� Howlin� Wolf on �Rhode Island Rooster,� which has its roots in the Windy City, and �When You�re Old You�re Cold,� gives a nod to the great T-Bone Walker. �The High Cost of Lovin�,� a tune Robillard co-wrote with the late Doc Pomus is also present. The lone cover on the album is Tom Waits� �Make It Rain.� Robillard served as Waits� lead guitarist during his 2006 tour, and the tune is a perfect fit on the disc, with Robillard providing a growling Waits-like vocal and a blistering guitar solo. There�s plenty of Robillard�s exemplary guitar work on the album, but the �official� closing track (there�s a bonus instrumental, �Broadford Boogie�), �Grey Sky Blues,� a nod to the late �60s Buddy Guy Vanguard era, is an eight-minute masterpiece of tasteful guitar that could have gone on another eight minutes with no problem. Lending first-rate support are Doug James (tenor & baritone saxes, harmonica), Bruce Bears (keyboards), Brad Hallen (bass), and Mark Teixeira (drums). It�s hard to go wrong with a Duke Robillard release. You get lots of great songs, great guitar and great performances. While this one may be a little bit different from his recent efforts, it shows that the Duke can get down and dirty in the alley when he has to with some hard rocking blues. This is a disc worth checking out. Spread the Love is the latest release from Ronnie Earl and the Broadcasters on Stony Plain Records. His sixth release for the Canadian label features 14 instrumentals mixing blues with jazz and soul. Earl has been regarded as one of the premier guitarists in modern blues and this set doesn�t do anything to disprove that notion. In recent years, Earl has chosen to back off from touring, instead opting for smaller, more intimate venues, and he has undergone a spiritual awakening which has been reflected strongly in his most recent material. The message Earl is trying to get out to his listeners is a universal one, as reflected in the title of the disc, which should appeal to anyone, regardless of their belief system. The rest of the disc is all original material by Earl or the band. He pays tribute to several of his guitar influences, such as Guitar Slim (the rowdy, down-home �Blues For Slim�), Duane Allman (the moving �Skyman�), and Otis Spann (�Spann�s Groove,� basically a sparkling duet with Earl and piano man Dave Limina). The three tracks that form the nucleus of the album are the upbeat �Happy,� �Patience,� on which Earl appropriately takes his sweet time and lets the band really stretch out, and �Miracle,� where Earl�s guitar tone is reminiscent of Carlos Santana. This edition of the Broadcasters (Limina � keyboards, Jim Mouradian � bass, Lorne Entress � drums) has been together for 11 years and they play as if they are an extension of Earl himself. They move effortlessly, from style to style on this disc, seemingly without even breaking a sweat. Spread the Love is another marvelous release from Earl and the Broadcasters. To paraphrase former NFL coach Bum Phillips, as far as blues guitarists go, Ronnie Earl may not be in a class by himself, but it doesn�t take long to call the roll. Harmonica Blues (Delta Groove Music) marks Bob Corritore�s 40th anniversary as a harmonica player. Corritore�s life was changed when, as a 12 year old, he heard Muddy Waters on the radio. Within a year, he was playing harmonica and stocking up on blues records. He got his start backing John Henry Davis on Maxwell Street, and hung out with harp players like Big Walter Horton, Carey Bell, Little Mack Simmons, Louis Myers, and Junior Wells, learning from each and every one of them. In the late �70s/early �80s, he produced recordings for artists like Little Willie Anderson and Big Leon Brooks before heading south to Phoenix. In Phoenix, Corritore made his mark as a performer (with Big Pete Peterson, Chico Chism, Janiva Magness, Chief Schabuttie Gilliame, among others), a radio show host (�These Lowdown Blues� on KJZZ since 1984), and a club owner (the Rhythm Room, since 1991). Over time, Corritore and his band would back many great blues artists on shows and recording sessions. He�s released many of these performances on some outstanding collections since 1999 for various labels. 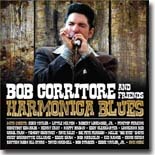 Harmonica Blues captures 15 fantastic performances recorded over the past couple of decades, teaming Corritore with an all-star cast of blues legends. While the collection pays tribute to Corritore�s Chicago roots with appearances by Koko Taylor (�What Kind of Man Is This?� from 2005), Eddy Clearwater (�That�s My Baby,� a tribute to Carey Bell), piano masters Henry Gray (�Things Have Changed�) and Pinetop Perkins (�Big Fat Mama�), one track that really stands out is Robert Lockwood, Jr.�s 2001 reading of �That�s All Right.� Lockwood allegedly authored the Chicago classic and this was his first, and only recording of it. Other contributors with Chicago roots include Honeyboy Edwards (�Bumble Bee�), Little Milton (the epic closer, �6 Bits In Your Dollar�), and sidemen Bob Stroger, Willie �Big Eyes� Smith and Chico Chism (drums), Chris James (guitar), Patrick Rynn (bass), and Bob Margolin (guitar). There�s much more than a Chicago flavor to the disc, though, with performances by Dave Riley (Frank Frost�s �Things You Do�), Louisiana Red (�Tell Me �Bout It�), Carol Fran (�I Need To Be Be�d With�), Nappy Brown (�Baby Don�t You Tear My Clothes�), Big Pete Pearson (�Tin Pan Alley�), Chief Schiabutte Gilliame (�No More Doggin��), and Tomcat Courtney (�Sundown San Diego�). Corritore provides stellar harp in support of these artists, and gets the spotlight on �1815 West Roosevelt� with Eddie Shaw, an instrumental paying tribute to Shaw�s former club that was located at that address. Thank goodness for Bob Corritore, who�s devoted most of his life to not only getting the blues out there on the airwaves and in the clubs, but also for producing some fantastic recordings by blues legends that we might have missed otherwise. Harmonica Blues is as essential a purchase as there can be for a true blues fan. In the �60s and �70s, he toured Europe frequently, but he always returned to Atlanta. He regularly played in Underground Atlanta and drew a large number of local fans as well as musicians, such as Keith Richards and Paul McCartney. He was a regular at the Excelsior Mill from 1981 until his death in 1985. 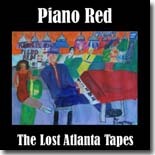 Landslide Records recently released The Lost Atlanta Tapes, which features Piano Red performing 18 songs at the Excelsior Mill in 1984, just a few months before his death. Eight of the songs were never recorded by Red at any other time. Backed by bassist George Miller and drummer James Jackson, Red rolls through a typical set that includes many of his own songs (�Let�s Get It On,� �The Right String,� �Let�s Have a Good Time Tonight,� �Ain�t Gonna Be Your Lowdown Dog No More�), along with familiar songs from others (Leadbelly�s �Cotton Fields,� Robert Lockwood, Jr.�s �Blues and Trouble,� Roosevelt Sykes� �Please Don�t About Me When I�m Gone,� and �Corinna, Corinna�). Throughout the performance, Red carries on a regular conversation with the audience, talking about the songs themselves, encouraging them to sing along and participate, even laughing in the background while playing. The audience was obviously having a ball as they shout and whoop it up, especially during the upbeat numbers. Red closes with two of his biggest songs; �Rockin� With Red� is a tour de force of piano that surely sowed the seeds for rock and roll upon its first release; Red clearly has a great time playing it. �Doctor Feelgood� closes the set on a high note. At the opening of �Let�s Have a Good Time Tonight,� Piano Red says, �I don�t know how you felt when you come here, but you�re gonna be feeling good when you leave.� That�s the best description for the entire experience of listening to The Lost Atlanta Tapes. It�s an exhilarating experience from start to finish. Thanks to former Excelsior Mill manager Michael Reeves and Landslide Records for letting this recording finally see the light of day. 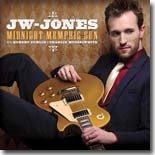 JW-Jones has emerged in recent years as one of the best young blues guitarists in modern blues. In fact, he practically qualifies as a grizzled veteran these days, as Midnight Memphis Sun is actually his sixth release, but his first for his new label, Ruf Records. As you might have guessed by the album title, the new disc was recorded in Memphis, at fabled Sun Studios, with an outstanding band in tow, including Canned Heat bassist Larry Taylor and Kim Wilson�s drummer, Richard Innes. Also joining in on the fun is a pair of blues legends, Hubert Sumlin and Charlie Musselwhite, who each appear on three tracks. You can see improvement with each release in Jones� catalog. His songwriting is notably better, his guitar work continues to develop, and his vocals are better as well. The best thing about his guitar work is that you know he could go off and just wail away at times, but he shows remarkable taste and restraint, understanding that the song is what it�s about and it�s where you place the notes, not how many. Highlights abound this time around, including the scathing �Born Operator,� which leads with a Magic Sam guitar riff and takes on corporate greed � la Bernie Madoff, �Off The Market,� which also addresses financial issues, �Right On Time,� a soulful urban blues, �Make A Move,� which feels like a old Robert Cray track, and �Mean Streak,� a sparse and moody number with Jones and drummer Jeff Asselin. Don�t miss the really cool cover of Bryan Adams� �Cuts Like A Knife,� which is transformed from power pop to a funky shuffle. JW-Jones continues to impress with each release. Though he�s still a young guy, he already has an impressive body of work under his belt and should only get better as time goes by. Midnight Memphis Sun is his best release yet. 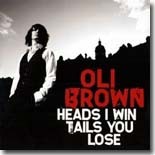 Oli Brown started playing guitar at age 13 in 2002. By the time he was 15, he was playing in America with the band, Blinddog Smokin�, opening for Taj Mahal and Buddy Guy. After several summers touring the U.S. with the band, they encouraged the youngster to start his own band and in 2007, he did just that. He signed with Ruf Records in 2008 and has just released his second album for the German label, Heads I Win Tails You Lose. Label head Thomas Ruf convinced veteran producer Mike Vernon (Eric Clapton, Fleetwood Mac, John Mayall) to come out of retirement to produce the recording. Brown wrote or co-wrote 10 of the 12 tunes, and though a few of the songs could fit well on a pop or rock recording, Brown�s torrid guitar work brings it all back to the blues, as does his soulful vocals. It would be difficult to pick just a few favorites on track list��all the tracks are either noteworthy for either a standout vocal or a fantastic guitar solo, or both. If I had to pick a few, they would include the opener, �Evil Soul,� �Keeping My Options Open,� �I Can Make Your Day,� and �Love�s Gone Cold� (which is the purest blues track on the disc), but don�t make me choose. The two covers, a hard-rocking take on Peggy Lee�s �Fever,� and Blackstreet�s mid �90s R&B hit, �No Diggity,� are also recommended listening. The band (Gary Rackham � bass, Jamie Little � drums, Dave Lennox � keyboards) are excellent, and Oli Brown�s performance is as confident and assured as any 20-year vet of the music business. You will be hearing more from this guy in the near future�.I guarantee it. In the meantime, do yourself a favor and pick up Heads I Win Tails You Lose. 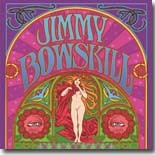 The Jimmy Bowskill Band�s latest release, Live (Ruf Records), has the sound and feel of those classic blues/rock recordings of the late �60s and early �70s, right down to the cover art (by Bob Masse, creator of numerous posters of The Doors, Grateful Dead, Jefferson Airplane, Janis Joplin, and Bob Dylan during the �60s). The music itself is reminiscent of that era, with equal parts blues and rock highlighted throughout, courtesy of the 19 year-old Bowskill�s impressive guitar work and vocals. The Jimmy Bowskill Band consists of Bowskill (guitar and vocals), Wayne Dedder (bass and vocals), and Dan Neill (drums). There�s no information on where this set was recorded, but wherever it was, the audience got a treat. This set is as close as you can get in the 21st century to those legendary concerts and performances of the �70s by bands like Led Zeppelin or Bad Company. It�s a dizzying mix of blues and rock that anyone who was kicking around back in those days will want to hear. Simply put, if powerhouse blues/rock guitar is what you�re looking for, you have found the real deal with The Jimmy Bowskill Band. The sky is the limit for this 19-year-old and Live is a great place to start listening. Visit Bowskill�s website and find out more about this amazing young guitarist. One of the highlights of 2009 was the wonderful tribute to the legendary Mississippi Sheiks, released by Black Hen Music. The CD showcased the amazing versatility of the pre-war duo by featuring a varied set of artists with backgrounds in the blues, folk, jazz, country, and rock. It was definitely a release that satisfied fans of many genres beyond the blues. So what do you do for an encore? You release a DVD of the tribute concert given around the same time last year. 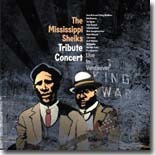 The Mississippi Sheiks Tribute Concert features many of the same artists as the CD, playing the same great songs. The concert was part of Vancouver�s Cultural Olympiad, which took place during the 2010 Winter Olympics. Black Hen label chief Steve Dawson spearheaded this effort, and he fronts a great band, consisting of Matt Chamberlain (drums), Wayne Horvitz (keyboards), Keith Lowe (bass), and Daniel Lapp (fiddle, trumpet). The band provides rock solid and versatile support to a group of musicians that include Dave Alvin, John Hammond, Van Dyke Parks, Alvin Youngblood Hart, Geoff Muldaur, Jim Byrnes, Colin James, and The Sojourners. These performers present various tracks from the Sheiks� catalog in their own unique fashion. Part of the current attraction to the Mississippi Sheiks� music is their versatility. When the Sheiks were popular back in the �30s, they played not just for black audiences, but also for whites. As a result, they became as adept at the country music that was popular with the whites as they were with the blues expected from their more traditional audiences. Their music blurred the line between the genres of the day. These performances do the same thing. Oh Susanna�s country-flavored version of �Things About Comin� My Way� is a perfect fit next to The Sojourners� soulful take on �Sweet Maggie.� �Poor Boy,� presented by Geoff Muldaur, is so authentic that you half expect to hear the pop and hiss associated with a 78. All of the performances are worth a listen, but some of my favorites included fellow Mississippian Van Dyke Parks� take of the classic, �It�s Backfirin� Now,� Jim Byrnes� �Tell Me What The Cats Are Fighting About,� which includes John Hammond (who also shines on �Kind Treatment�) on harmonica, Alvin Youngblood Hart�s �Livin� In A Strain,� and Dave Alvin�s duet with Christy McWilson (�Who�s Been Here�), which includes Bob Brozman�s scorching steel guitar and Steve Dawson on banjo. The entire group assembles at the end for a rousing, extended version of the Sheiks� signature tune, �Sittin� On Top of the World.� The DVD also features some behind-the-scenes footage from backstage, some rehearsal footage, and interviews with some of the performers. This production truly captures the spirit of the Mississippi Sheiks and, combined with the CD released last years, guarantees that their music won�t be fading away anytime soon. Please give a tip of the hat to Steve Dawson for overseeing both of these worthwhile projects. 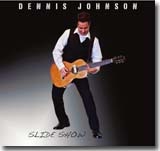 Dennis Johnson is a slide guitarist based in Sacramento, CA. His fretwork is amazingly adept, with some impressively clean and fluid slide. His style not only is derived from blues, but also has country influences as well. Vocally, he has a warm and friendly style. Currently, he fronts a three-piece band that also includes bass (Kirt Shearer) and drums (Rick Lotter), and has released a recording. He recently released an excellent recording on his own label, called Slide Show, and it proves to be just that. Slide Show consists of ten tracks, seven originals, with covers from Blind Willie McTell (a breakneck �East St. Louis�) and a pair from Robert Johnson (�32/20 Blues� and �Judgement Day�). Wisely, he doesn�t tackle these on a note-for-note basis with the original versions��he either adjusts the speed or general tone of the particular song and gives it a new spin. His own songs, like �Betty Mae,� �2 In The Morning,� and �She Looks Good� are catchy and feature some impressive fretwork (particularly on �Midnight In The Delta,� �Bordello Stomp� and �Down In New Orleans�). Fans of slide guitar will love Slide Show, but it also includes some great original tunes and fresh interpretations of old favorites that guarantee repeated listening. Check out Dennis Johnson at his website for more information. 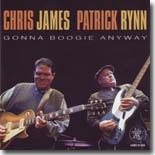 I knew I was going to like Gonna Boogie Anyway, the latest release from Chris James and Patrick Rynn on Earwig Records, for a couple of reasons. First, I loved their first release, Stop and Think About It, because I�m a sucker for that great traditional blues sound via Chicago and the Mississippi Delta and their debut disc was a veritable primer of both styles. After listening to the opening track of their sophomore release, Robert Lockwood, Jr.�s �Money Don�t Like Me,� I knew the second reason�..these guys are capable of taking a song like this blues standard and updating it for modern listeners (granted, the current economic woes going on worldwide play a part in its appeal, but still�..that�s a talent that�s all too rarely found these days). One of the great things about James/Rynn releases is that even though their compositions are virtually indistinguishable from the era that they are paying tribute to, their lyrics put a modern spin on real-life situations that actually applied both then and now equally. �Life Couldn�t Be Sweeter� is an uplifting tune highlighted by some cool slide guitar from James in the Elmore James tradition, plus piano from Chicago legend Henry Gray. The clever title track describes the trials of aging and slowing down. There are also four acoustic numbers on the disc. Two of them feature only James and Rynn (�Headed Out West,� about the pair�s move from Chicago to California several years ago, and �Black Spider Blues,� another Lockwood tune). The other two add Dave Maxwell on piano (�You Can�t Trust Nobody�) and Maxwell with Rob Stone on harmonica (�The Tables Have Turned�). Maybe the duo will release an entire disc of acoustic music someday in the near future. There�s also a dynamite pair of instrumental tracks (�H.M. Stomp,� featuring Gray and Bob Corritore on harmonica, and a studio rehearsal of �Money Don�t Like Me,� featuring Jonny Viau on saxophone that was good enough to make the album�s final cut). Other covers include a great pair of Bo Diddley tunes (�Dearest Darling,� and �Little Girl�) and one Jimmy Reed classic (�Can�t Stand To See You Go�). As long at Chris James and Patrick Rynn have anything to say about it, the sounds of traditional blues will continue to thrive today and in the future. You�ll definitely be hearing their names called during the award shows next year for their efforts on Gonna Boogie Anyway. Just over a year ago I reviewed Wrecked, the first CD that I�d heard from L.R. Phoenix & Mo'Hell � and I loved it, and I�ve been playing it constantly ever since. Here we are, 15 months later, with the follow up Jumper On The Line (Home Brand Records), which will tell you that they are still very much influenced by R.L.Burnside, and that influence extends to cover a lot of Mississippi hill country musicians, too. This CD is a very good follow up, equally as good as the last album, if not a little bit better. I made the comment when I reviewed the last CD that Finland isn�t a place that immediately springs to mind when you think of blues. If these guys carry on like this, then that could change over time. L.R.Phoenix is originally from England, but now lives and makes music in Finland together with Mr. Mo�Hell � usually Phoenix handles guitar and vocals, while Mo�Hell provides drum backing, but on three tracks of this album, they are joined by Honey Lake � playing violin on two tracks and providing some vocals on another � it makes a refreshing combination! The CD opens with one of my all time favourite tracks, �Shake �Em On Down,� and they make a really good version � changed to their own style from other versions that I�ve heard, which is good. The guys keep the flavour on the boil with �Don�t Want No Skinny Woman,� and by now you know that you are listening to some really good blues � forget where they come from, this is GOOD blues. The CD runs through mainly up tempo country blues, �Boggy Pine� and �Freight Train,� until it slows down a little with �Keep Your Hands Off Of My Woman� and then runs into R.L.Burnside�s �Jumper On The Line.� Nothing can compare to the original, of course, but this version comes very close. 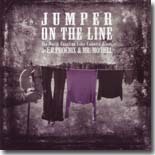 If you like the feel of Hill Country blues, then this album is a must for your collection � it�s also a giant leap forward from the last excellent CD � it makes me wonder what they will do next! 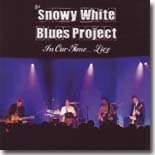 In Our Time - Live (CBH Records) is Snowy White�s 18th album since 1983 � a busy man! The former guitarist with Thin Lizzy is now fairly committed to blues, but still plays with Roger Waters of Pink Floyd when he tours. This CD is a live recording from February 2010 at a concert stop in Zoetermeer, Holland, during a 14 date European tour, and it has a lot of atmosphere. It also goes to show just how good this band are playing live, rather than having the music studio enhanced. The album opens with �Blue To The Bone,� a track written by bass player Ruud Weber. It�s a slow-ish tempo blues with some great lyrics, and Weber also wrote track three, �Simple,� a nice ballad. These two tracks show that Mr. Weber is as good a song writer as he is a bass player. Five of the 15 tracks are written by Snowy white, two by guitarist Matt Taylor, two by Peter Green and the rest are a mixture of old blues numbers. First of the covers is between the two Weber tracks, and it�s a Leadbelly standard �Good Morning Blues,� a particularly good version, and then the first Snowy White-penned tracks surface, �Red Wine Blues,� followed up by �Lonely Man Blues� � a slow moody blues number, followed by a medium tempo number with some interesting lyrics. The CD continues on it�s way with a mix of tempos and influences, including a lovely version of �Woman Across The River.� Possibly the best version I�ve heard since Freddie King�s! The only track on the whole CD that wasn�t to my taste (and it might well be to everyone else�s) is the Skip James song �I�m So Glad.� I didn�t much like the original, or the version by Cream � I find it repetitive. It�s not the band�s fault, they play it well, but maybe they could have chosen something different. However, that�s one track out of 15, and the rest are first class all the way. All in all, another very good Snowy White CD. Harmonicopia (JBG Music), from Jay Gaunt, is an unusal CD from a very accomplished harmonica player. Whilst it�s not strictly blues all the way through, there is enough blues to be of interest to fans, and anyone who likes harmonica will enjoy it. There are 12 tracks altogether, seven of them instrumentals, and the musicians in the band obviously know what they are about � some great guitar work backing the harmonica, and an excellent rhythm section holding it all together. Some of the tracks have a brass section, The Royal Horns, and some have a string section, New Memphis Strings, but for me the stripped back band provide the best tracks, maybe because they are the bluesiest. The album opens with an Eddie Harris track, �Listen Here,� one of the seven instrumentals, and the first track to feature The Royal Horns. The track shows off Jay Gaunt�s harmonica playing really well, set against the horn section. The Greg Allman track, �Midnight Rider,� follows, another instrumental, and put together very well. In fact, there are no vocals until track seven, the Muddy Waters song �Louisiana Blues,� with Victor Wainwright providing the vocal part of the track, which he does again on the next two tracks, �Home Of The Blues� and �Devil Dealt The Blues,� a superb shuffle blues and probably the best track here. Track ten is possibly the strangest version of �Greensleeves� that you�ve ever heard. I have to say that the band turned this old English love song on its head. I put the track on with a pre-conceived notion that I wouldn�t like it, and proved myself wrong! �Greensleeves� is followed by another instrumental, a track co-written by Jay Gaunt and Kathy Sheppard entitled �Double Shuffle� � this time it�s a slightly slower shuffle than �Devil Dealt The Blues.� The CD winds up with �Rattlesnake Shake,� a Peter Green number which ends the CD in good style, the vocals again courtesy of Victor Wainwright. Joe Louis Walker's Blues Conspiracy's latest album, Live on the Legendary Rhythm & Blues Cruise (Stony Plain Records), comes across as sounding like what it probably was --- an incredible jam session, albeit a well-organized session, on a big boat with an enthusiastic crowd of late night, inebriated cruisers. It must've been one helluva party! Walker calls up a different set of guests on every cut, a collection of mostly songs that he's recorded over the years mixed with a couple of blues standards like "Born In Chicago" and "A Poor Man's Plea." The session continually verges on getting chaotic but Walker and his band of Linwood Taylor, Kevin Burton, Henry Oden and Jeff Minnieweather provide the solid, consistent foundation behind the guests. The show kicks off with "Slow Down GTO," with guest Mike Finnigan on keyboardist. But it's Walker's incidendiary slide guitar solos that propel this song. Johnny Winter keeps the back alley guitar licks going on "Ain't That Cold." One of my favorites features guest vocalist Curtis Salgado on O.V. Wright's gospel-tinged soul classic, "You're Gonna Make Me Cry." It's eight minutes of incredible emotional singing with Walker and Finnigan both joining in at times. Great stuff! Walker is joined by Tommy Castro (guitar) and Deanna Bogart (piano and sax) for the jump blues of "Eyes Like A Cat," a Travis Phillips composition which he previously recorded on Between A Rock And The Blues. The ultra-talented guitarist Kirk Fletcher steps to the stage to help out with Walker's up-tempo "Ten More Shows To Play," one that he recorded early in his career on Cold Is The Night. Fletcher tears it up when he gets the opportunity to solo --- he's hot! For a pure guitar showcase, Walker and Robillard trade licks on "Tell Me Why," also one from Between A Rock And The Blues. The chemistry remains on the next cut when Kenny Neal joins Walker on "A Poor Man's Plea," on which Neal blows some nice Louisiana harmonica. Walker and his regular band go it alone, sans guests, on "It's A Shame," which they recorded on Witness to the Blues. I especially like Burton's organ accompaniment on this one. The disc ends with Walker's "747," done originally on the Hightone album, The Gift. Paul Nelson, Tab Benoit and Mitch Woods join in to help JLW bring this show to a satisfying conclusion. You've heard Walker do most of these songs before, but these live versions are different enough from the originals to make Live on the Legendary Rhythm & Blues Cruise a satisfying voyage through the JLW discography. 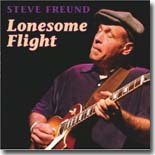 San Francisco resident Steve Freund, who spent his early blues years in Chicago, is one of the more underrated guitarists on the scene today. He recorded a couple of strong albums for Delmark a few years ago, but his latest, Lonesome Flight (9 Below Records), differs in that it presents Freund in a more downhome setting with sparser accompaniment. They've hit the right combination in coming up with a very pleasant album of originals and well-chosen covers. Freund is playing electric guitar with only drums and bass behind him on most cuts. While he's better known for his guitar playing than his singing, his vocals are more than acceptable for the material on Lonesome Flight. There's not a weak cut here, but several numbers stand out. On the jazzy instrumental "LaMorr Is Blue," Freund runs his guitar through a box to give it more of an organ sound. It works --- and works quite well. Freund's vocals are strongest on the slow blues "Wind Is In My Face." He also does a couple of mournful guitar solos to make this cut one of the most effective on the disc. It's one that you'll want to hear over and over. One of the few covers is a nice version of the John Brim classic, "Tough Times." Mr. Brim would be proud. And yeah, we're having tough times right now in this economy --- it's why people still have the blues. Freund also gets to show off his guitar prowess on the original instrumental, "100 Tompkins Ave.," on which he sounds like a little bit of cross between B.B. King and T-Bone Walker. Nice! Another very good song is his version of Johnny Young's mid-tempo blues shuffle "Keep On Drinking." Here he shows more range with his voice; in fact, I think his voice gets stronger as the album progresses. Lonesome Flight might be a little harder to find since it's not on a major label, but it's definitely worth the hunt. It'll undoubtedly make my top ten list for the year.